Home » Advent , Blood of Christ , Christmas Candles; Christmas , Compassion of Christ; Christianity , Eternal Security , God , Hope , Light , Manger » Christmas Candles! Being a Christmas Elf myself, every year at Christmas time I always admire the families who display candles in their windows. They are so beautiful and the soft glow is reminiscent of warmth and peace. Even Alabama, that great country band also wrote of this in their song, "Just a Candle in the Window." In their words, "It's like God's perfect light!" But I must admit, Christmas Candles have become to onerous for me to deal with. I love their look, I love their light, and I love the mood they can cast. But, I can never keep up with them! If they are real wax candles I forget to light them or I forget to blow them out. I also worry about them burning down the house. Then there are the battery types. Oh boy, just another item I have to put batteries in or shall I say, forget to put batteries in. Then there are the corded types. 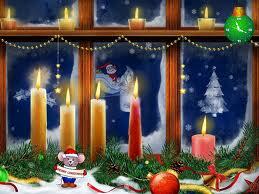 Place them in the window and often the cord is so heavy it pulls the candle out onto the floor! So as you can see, I am not a fan of using them at Christmas as much as I am watching others have all the fun. But as I think about how difficult it can be for me to get the candles lit up, while others seem to have no problem, one thing I know for sure is that being a "light" for Christ in the world is something we should never get frustrated over and give up! God's mercy is so great that the Apostle Paul could state with confidence, "Moreover the law entered that the offense might abound. But where sin abounded, grace abounded much more" Rom. 5:20. Jeremiah, despite all of the troubles he endured for the sake of obedience to the Lord also wrote, "This I recall to my mind, Therefore I have hope. Through the LORD’s mercies we are not consumed, Because His compassions fail not. They are new every morning; Great is Your faithfulness" Lamentations 3:21-23 NKJV. The point being we will often struggle with the things of earth; even to the point of throwing things away or walking away from things that hurt. Just like the stubborn, very needful, Christmas Candles can frustrate us, so can our walk with God if we try to live it on our terms. If we view it as being our work to handle, our work to keep, then by all means we can walk away. But being part of a family means somebody else did and does the work. Thank God He does not give up on us, though we may frustrate Him, He still works to mold us into His image, Heb. 12:7. This Christmas strive be a light for Christ! Let your light shine! Not because it is your light but because it is His light that truly shines in you! 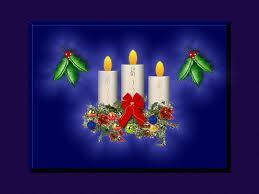 He is truly our Christmas Candle come into the world to shine into the darkened heart of humanity. A Candle in the Manger!